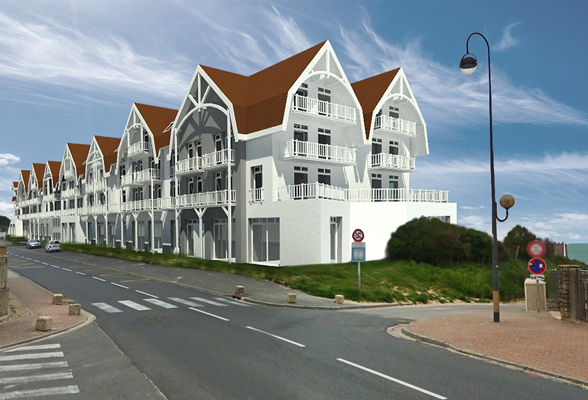 Radisson Hotel Group announced the signing of the Radisson Resort Sangatte Blériot-Plage in France. It marks the Radisson brand’s debut in the country, where it will become part of a portfolio that boasts 16 hotels and more than 2,800 rooms in operation or under development. Situated on the Opal coast in the Pas-de-Calais area, Sangatte Blériot-Plage is a small and charming seaside destination that’s increasingly popular with travellers – both for its golden beach facing out onto the Channel and its easy access to the Eurotunnel, linking it to Western Europe’s major capital cities. The entire region enjoys a healthy flow of tourist arrivals, with international visitors making up more than a quarter of those journeying to a destination that’s quickly growing in demand. As well as attracting visitors looking to explore its sweeping natural coastline and the impressive cliffs of Cap Blanc-Nez and Cap Gris Nez, Sangatte is becoming a major destination for nautical travellers taking to the sea rather than relaxing on the beach. Due to open in 2021, the new-build Radisson Resort Sangatte Blériot-Plage will feature 115 rooms, including six suites. Guests will be able to enjoy quality dishes or sip cocktails at the resort’s restaurant & bar – which will also feature an amazing panoramic terrace that’s sure to draw a crowd in the summer months. Other leisure facilities will include a spa, a fitness center and an indoor swimming pool, with business travelers catered for by two meeting rooms.